Interestingly, the most challenging part of my internship would later prove the most rewarding. Nearly 1,000 miles away from my family and friends at home, Tampa forced me to momentarily start anew. As a “lone Royal” in unfamiliar territory, I made it my mission to show the Bay Area Thomas McGinley in all of his true colors – hopefully, not blushing too much along the way. As I had no roommates to rely on for easy conversation or extracurricular activities, I was left to bring my dynamism to the workplace. What started off as “coffee talk” within my own department soon morphed into intimate personal connections with interns and co-workers alike, throughout the company. Before long, my unofficial label of “indispensable summer help” switched to “peer” – someone worth listening to in regard to original thought. While my time at IRONMAN was short, I feel as though the various relationships forged between its walls will serve me well in my future of sports marketing. Today, it is safe to say that my entrusted colleagues were successful in imbuing me with the spirit that “anything is possible” before my time with them drew to a close. Hopefully, my newly adopted mantra will serve me well in my next challenge, wherever and whenever it may be. I am so happy that this internship has not only exposed you to new learnings but to new people as well. Although you did not know anyone going in, by reading this blog it sure seems like you took advantage of this wonderful opportunity and put yourself out there to meet new people. Cherish these individuals and stay connected because you never know when your lives will cross paths again! 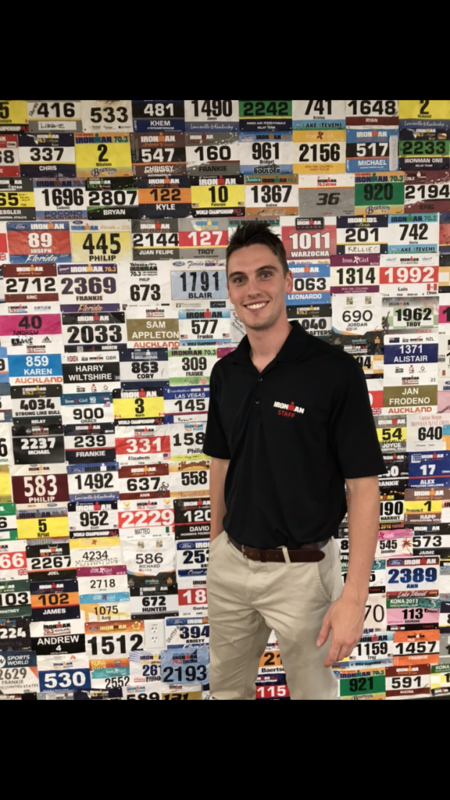 It’s great to hear that you were able to gain so much from your time interning with Ironman! I know that I would have been terrified being that far away from friends and family with little to no connections in Florida, so it’s wonderful that you were truly able to make the most of your experience. I also found through my time with the Miners that really getting to know my coworkers and supervisors alike proved to be one of the most rewarding aspects of my time there. It sounds like you are confident with the knowledge you have gained during your internship and with your own abilities and outgoing personality, so it’s easy to imagine you being successful with whatever you choose to pursue! Best of luck with everything!